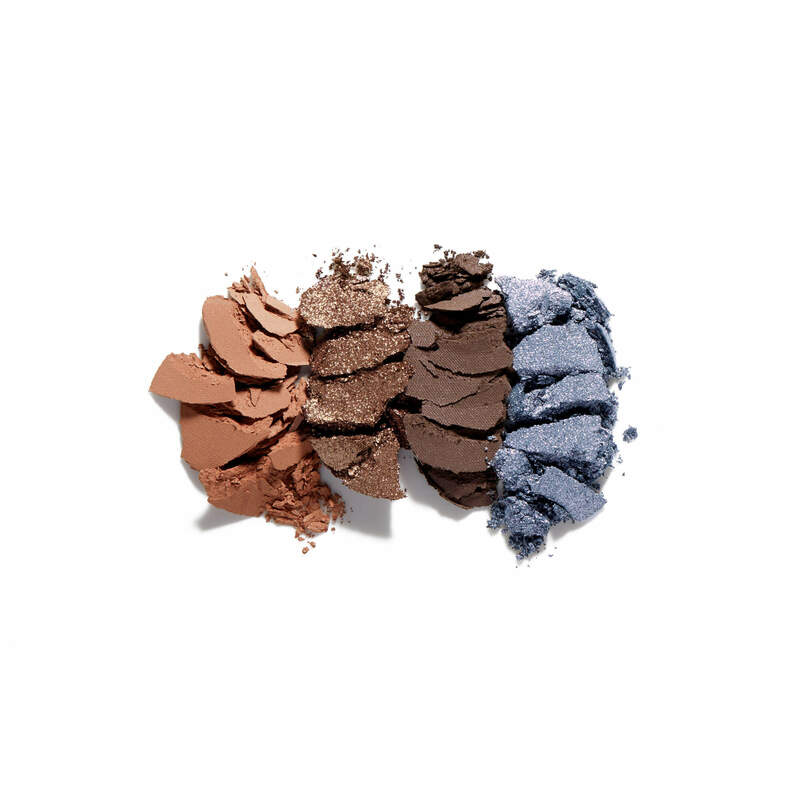 The most beautiful colours with gorgeous pigment. ABH are making blues/purples fashionable again. 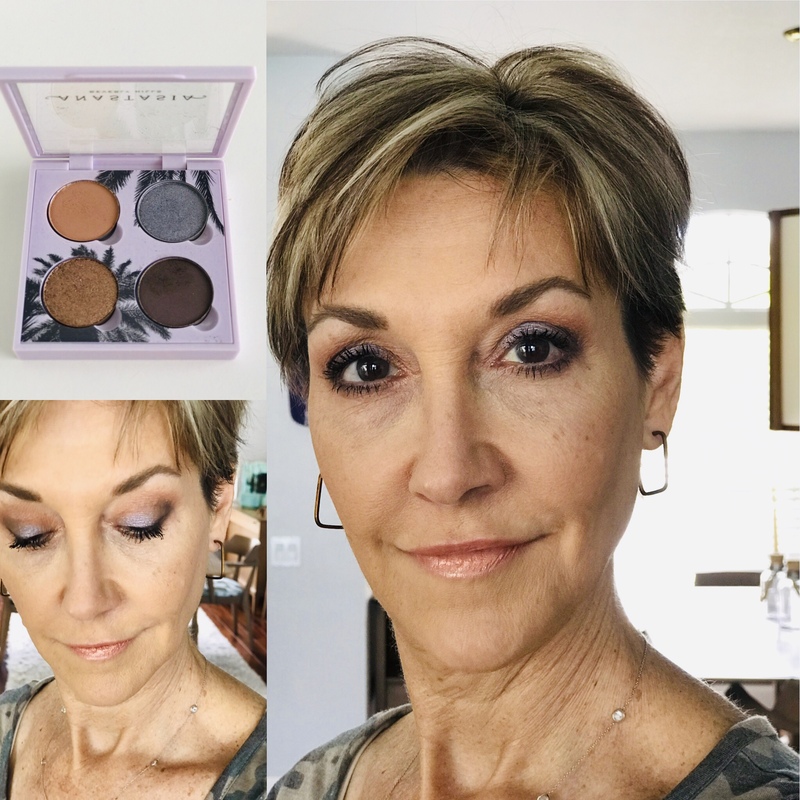 Michaela Maher has rated on date 03/22/19 as I’m In love with this palette!The most beautiful colours with gorgeous pigment. ABH are making blues/purples fashionable again. with 4.5star. I’m In love with this palette! 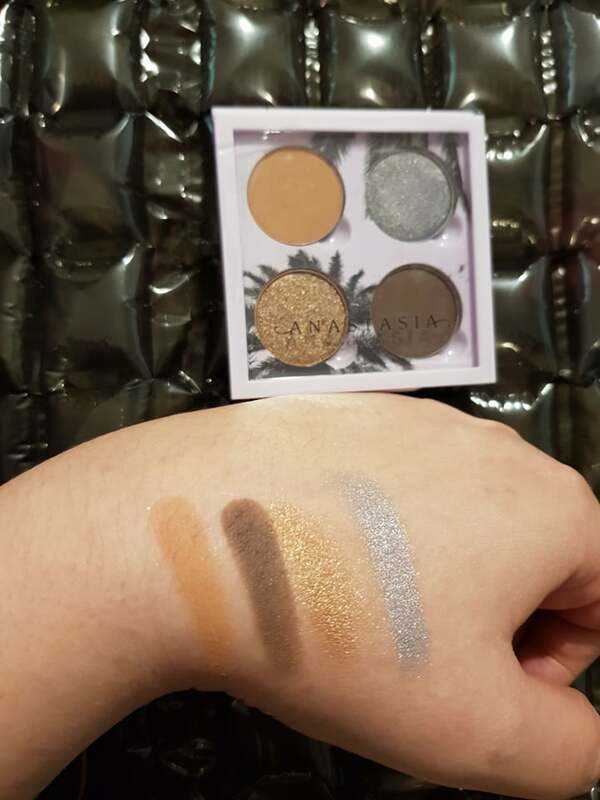 Soph has rated on date 02/27/19 as Unique enough to purchaseI tried resisting this palette and collection in general, but knew I\'d be upset if it sold out and I had missed it.\nThe formula is very consistant with ABH shadows and applies like a dream.\nI got an awesome bold look using all shades with dry synthetic brushes, no Fix .\nAs someone who mostly does warm toned and pretty basic eye looks, I managed to do something different that isn\'t too far off my comfort zone and I absolutely love it.\n with 4.5star. I didn\'t like the case. It\'s really thick. The colors are very pretty and I love that I can use any of the colors together. It doesn\'t stay on my eyelid very well but that could be my skin. It doesn\'t look as good as the pictures but it goes on good. Leslie Rumsey has rated on date 02/26/19 as PrettyI didn\'t like the case. It\'s really thick. The colors are very pretty and I love that I can use any of the colors together. It doesn\'t stay on my eyelid very well but that could be my skin. It doesn\'t look as good as the pictures but it goes on good. with 4.5star. I didn't like the case. It's really thick. The colors are very pretty and I love that I can use any of the colors together. It doesn't stay on my eyelid very well but that could be my skin. 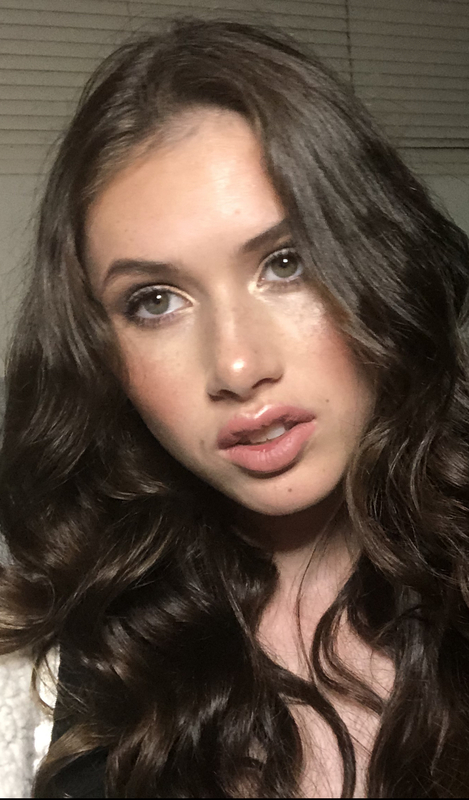 It doesn't look as good as the pictures but it goes on good. Mylimegreen has rated on date 02/22/19 as StunningWas not planning on purchasing another eyeshadow palette until I saw Youtuber Mel Thompson’s review. So happy I got this quad! 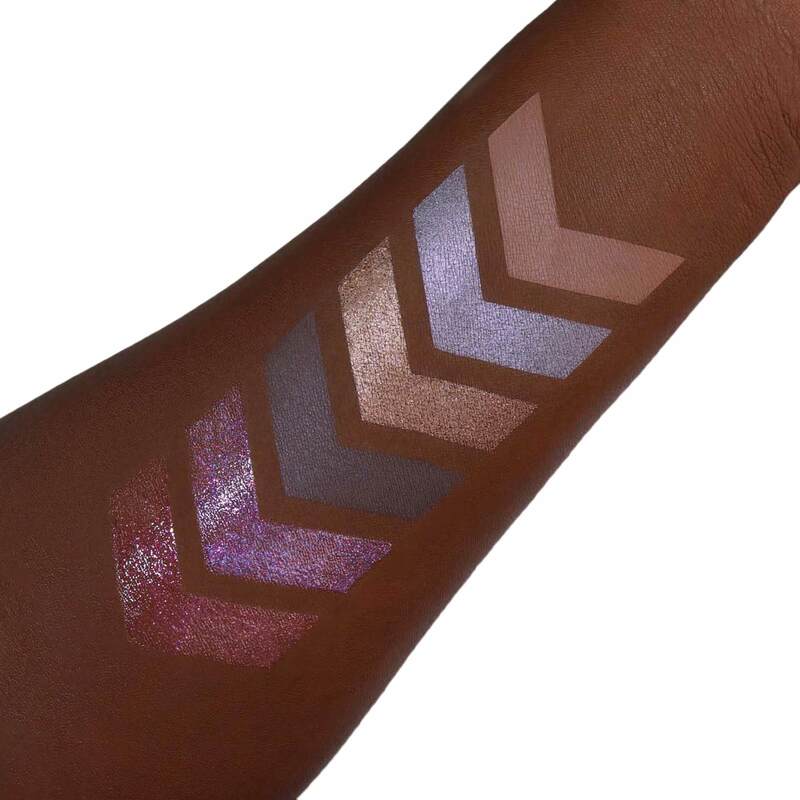 👏The shadows are pigmented and easily blendable (the darker shade appears brown but actually is in the purple family) 💕 the silver foil has a blue shift that is just divine! 4 stars ⭐️ only because there is a tiny bit of fallout - 🏁🏁🏁 with 4.5star. This is one of my favorite palettes now, I use it by itself or incorporate it with the Norvina palette and they work so well together. 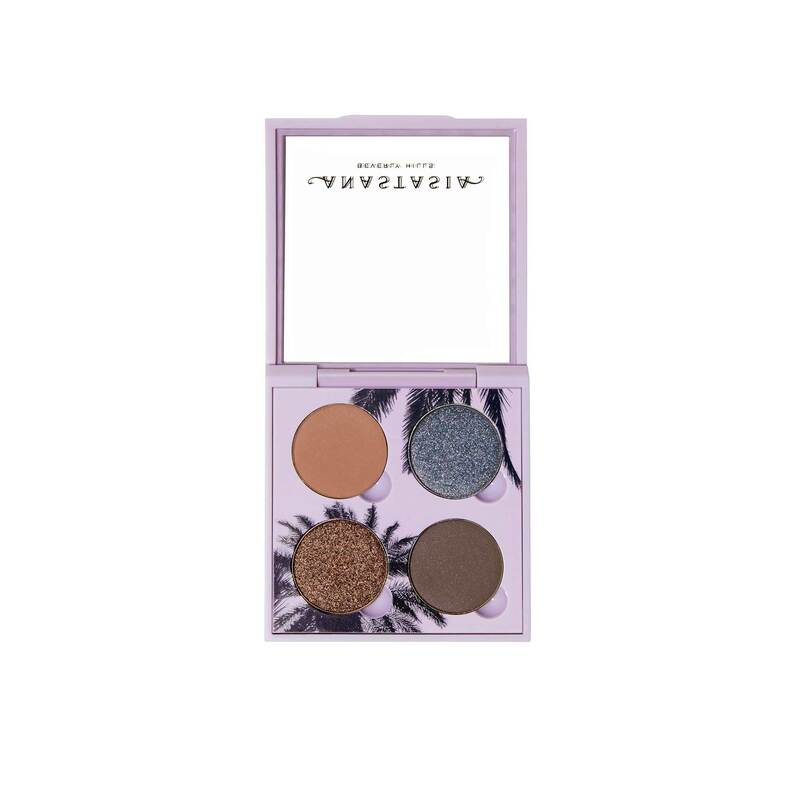 I use lots of eyeshadow brands (high end and drug store) but I recently started buying Anastasia singles and they are by far my favorite. 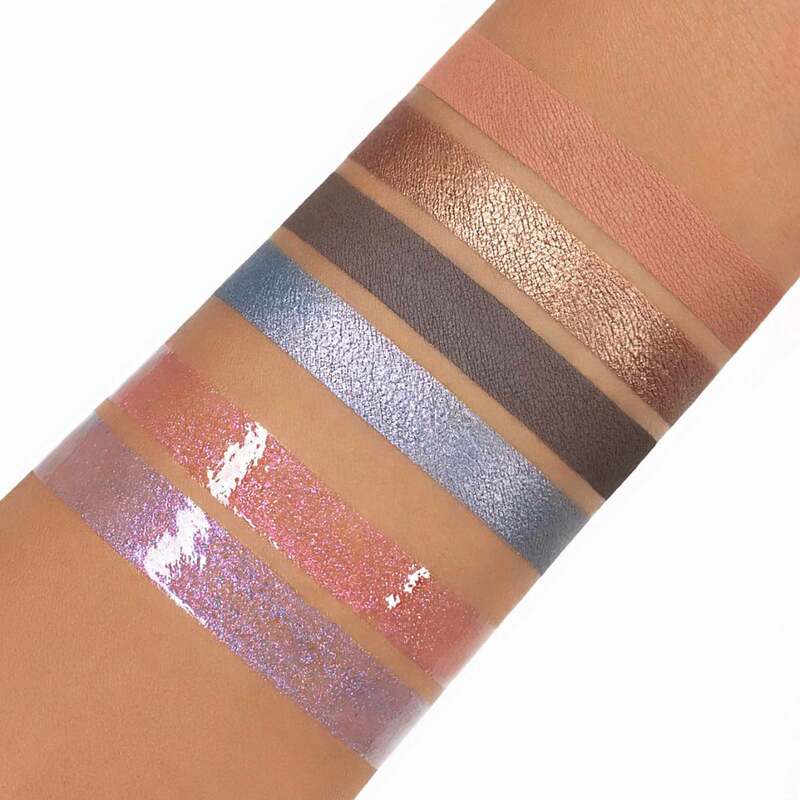 Love how they blend and the colors are stunning and have great smooth pay off. I can’t help that this review is so long but I am so happy I found this brand. My only regret about this purchase is that I did not buy the Palm Tree light , I should have purchased the whole Sunset set. 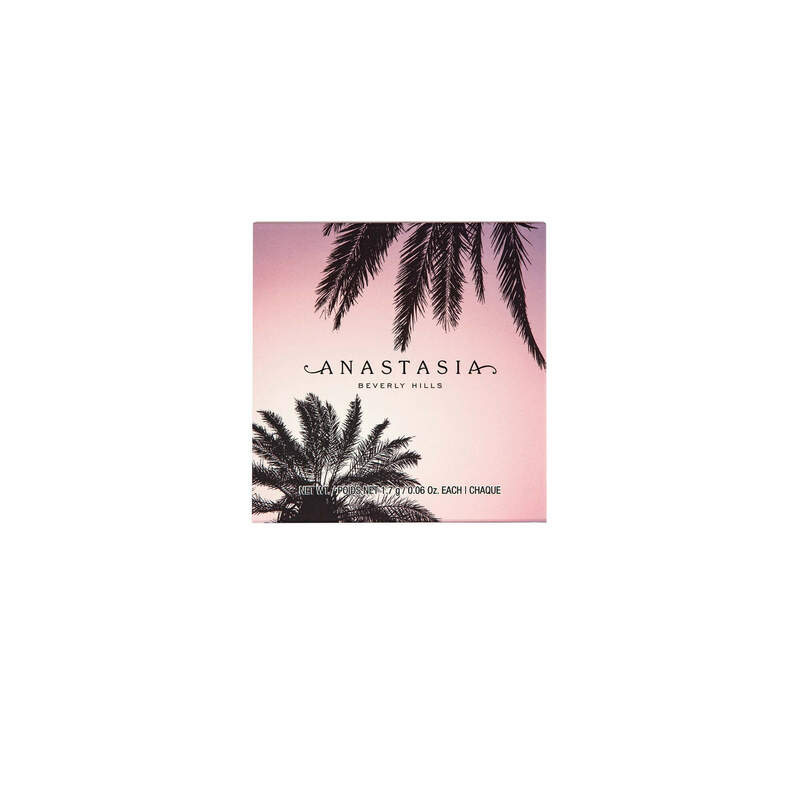 Larissa Cooper has rated on date 02/20/19 as Absolutely love, beautiful color schemeThis is one of my favorite palettes now, I use it by itself or incorporate it with the Norvina palette and they work so well together. 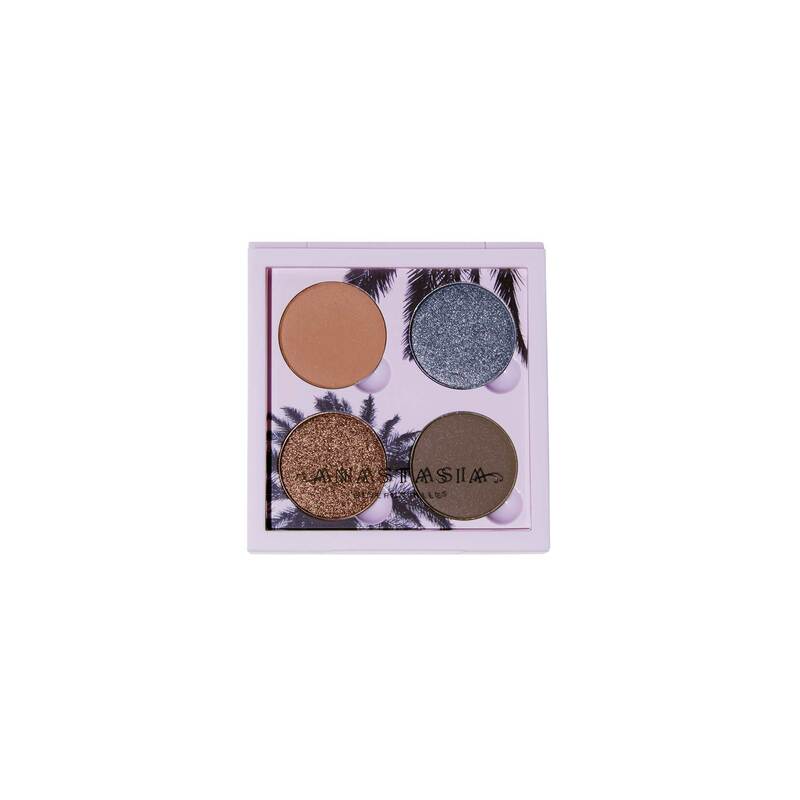 I use lots of eyeshadow brands (high end and drug store) but I recently started buying Anastasia singles and they are by far my favorite. Love how they blend and the colors are stunning and have great smooth pay off. I can’t help that this review is so long but I am so happy I found this brand. My only regret about this purchase is that I did not buy the Palm Tree light , I should have purchased the whole Sunset set. with 4.5star. 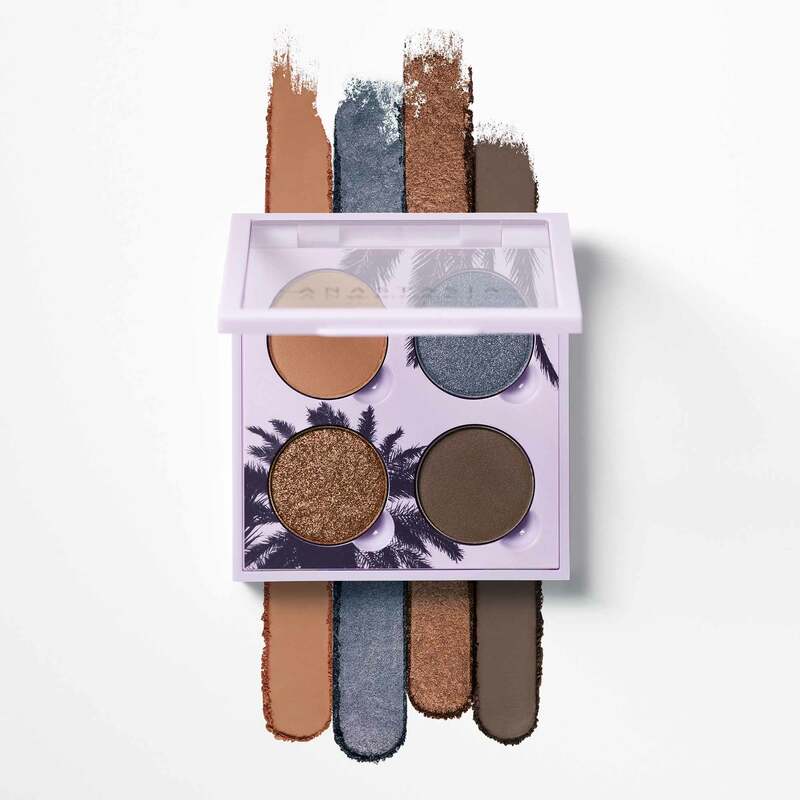 Part of Anastasia Beverly Hills’ limited-edition The Collection, the Sunset Collection Eye Shadow Quad is an exclusive palette featuring 3 ALL-NEW cool Eye Shadow shades and 1 fan-favorite shade, Birkin, for creating springtime eye looks. Housed in a moody dusk-inspired palette, these cool-toned matte, metallic and duo chrome shades pair perfectly with Pink Daiquiri and Blue Hawaii Lip Gloss shades. Apply an ACCENT shade to the lid.